A man from Raunds is among eight people arrested over a Cambridgeshire cold case murder from more than 25 years ago. Andrew Bedford was last seen on September 28, 1990, in Factory Bank, off Great Whyte, Ramsey, in a light blue Ford Cortina estate car eating some takeaway food, possibly fish and chips. Detectives believe he was killed later that evening with a shotgun at a garage which no longer exists in Ramsey called Mongrel Cars. 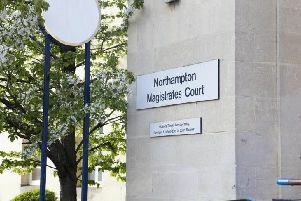 And police today (Wednesday) made eight arrests, including a 52-year-old man from the Raunds area of Northamptonshire. He was arrested on suspicion of assisting an offender and conspiracy to prevent lawful burial. The other seven arrested are: A 70-year-old man from Glatton, near Peterborough (suspicion of assisting an offender and conspiracy to prevent lawful burial), a 47-year-old man from Sheerness, Kent (on suspicion of assisting an offender and conspiracy to prevent lawful burial), a 50-year-old man from the Ramsey area (suspicion of assisting an offender and conspiracy to prevent lawful burial), a 43-year-old woman from the Peterborough area (suspicion of assisting an offender and conspiracy to prevent lawful burial), a 45-year-old man from Letchworth, Hertfordshire (suspicion of perverting the course of justice), a 62-year-old man from Ramsey (suspicion of assisting an offender and conspiracy to prevent lawful burial), and a 56-year-old man from Southampton (suspicion of murder and conspiracy to prevent lawful burial). All have been taken to March Police Station for questioning, except the man from Southampton, who will be questioned in custody in Southampton. In September, officers re-appealed for information on the 25th anniversary of Andrew’s murder. The officers spoke to local people, handed out leaflets and put up posters across Ramsey in a fresh appeal for information. In June, police announced they had discovered pieces of bone during a painstaking 13-day search on land off Stocking Fen Road, Ramsey, in April. Forensic tests continue to be carried out on the finds. Operation Ongar was re-launched on April 10 by the Bedfordshire, Cambridgeshire and Hertfordshire Major Crime Unit. A 64-year-old man from Ramsey who was arrested on suspicion of conspiracy to murder has been released without charge.